I made this pendant for my sister before she moved to Germany. 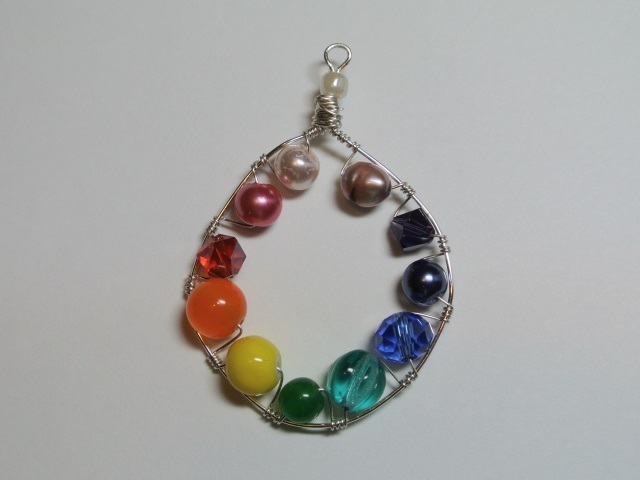 I wanted to make something that was an homage to the fact that she is an LGBTQ ally, and decided that a rainbow of beads would be a nice touch. It was pretty easy to make, although I did have to re-wrap the wire a couple of times to get it to be the right amount to bend it into a circle easily. Ultimately, I found that 4 times was the right amount. 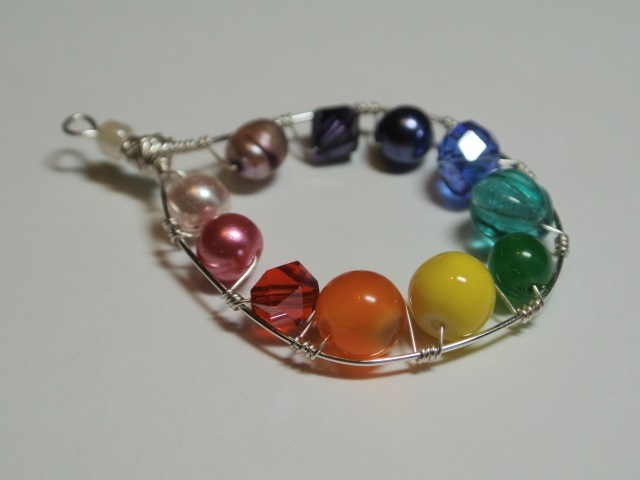 If you were to make your own, it would depend on the width of the beads. 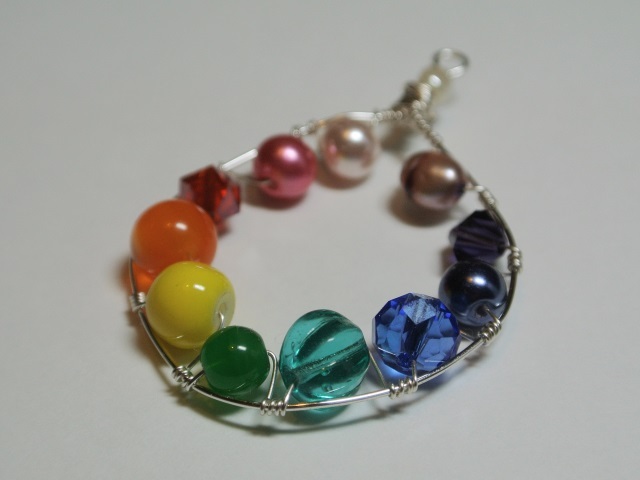 This entry was posted in crafty, jewelry and tagged beads, Necklace, rainbow.